Do you think you have the right stuff to be a successful entrepreneur? There are certain qualities that people who work at home must have. It’s not for everyone, this “entrepreneur” thing. Becoming successful in day to day endeavors requires a level of sacrifice not easy to give. Some people naturally just handle it better than others. 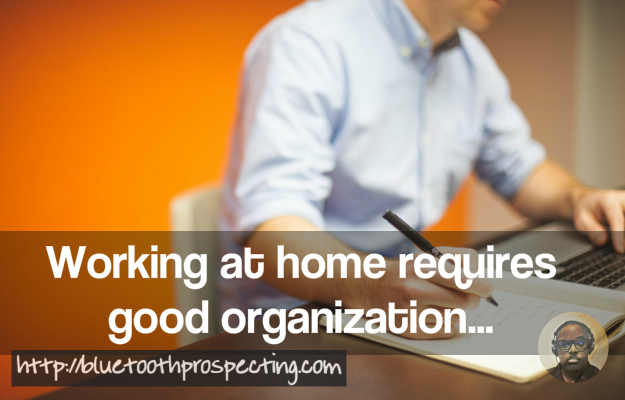 But there are a few qualities that those who work at home should have. Working at home as an entrepreneur requires good organization. 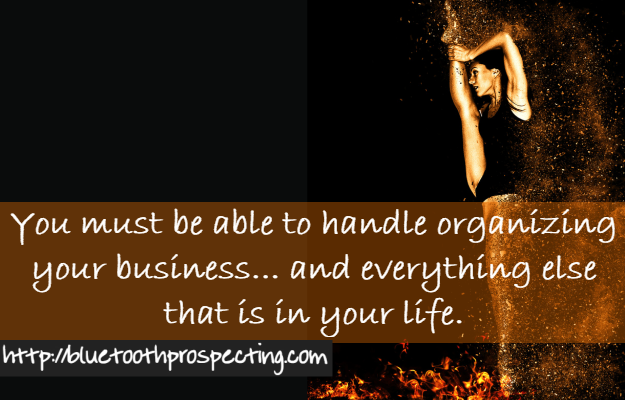 You must be able to handle organizing your business, your home, your time, your personal life and everything else that is in your life. You should be able to regularly handle the myriad of details that your multi-faceted life requires. See “How The Best Entrepreneurs Stay Organized” via forbes magazine by Neil Patel. If you have a rigid personality, and expect everything to go the way you think they should, you will be sadly disappointed as an entrepreneur. You must be flexible so that when a child gets sick, the dishwasher breaks, your schedule suddenly has to change for some reason, or your invoices don’t get paid, you can handle it. 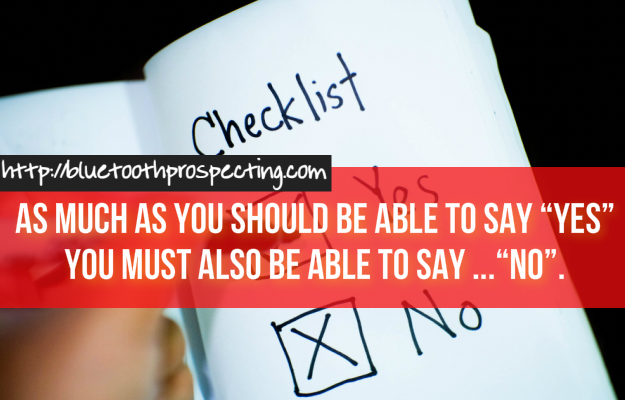 You should be willing to say “yes” as much as you say “no” and be able to handle the changes in your schedule well. When you master the quality of flexibility you’ll end up becoming the matrix entrepreneur. Read How a Willingness to Change Resulted in 350% Sales Growth for One Small Business via Miranda Marquit. Like we said, as much as you should be able to say “yes” you must also be able to say “no”. When you start making regular income as an entrepreneur, guess what, your work then gets very serious to you! So it’s sometimes hard for other people to wrap their heads around the idea that you’re an entrepreneur who stays home working full time, and that you are contributing in a significant way to yours, or your family’s income. That means that often you will be called up on to do things, to watch other peoples’ children, to do some kind of errand, or to do that “thing,” whatever it is, that takes you away from the thing that – during the day – is the most important thing to you, and that…is work. See why An Entrepreneur Has to Learn the Art of Saying No via Martin Zwilling. To that end, then, you should be able to say “no” just as often as you say “yes”. You should find some flexibility and be willing to sometimes go with the flow, and to change the plans as necessary. But ultimately, when asked (during your work at home hours) you should be able to reply in the negative (Sorry, No…I can’t). This quality is a necessary requirement for a successful business as an entrepreneur. 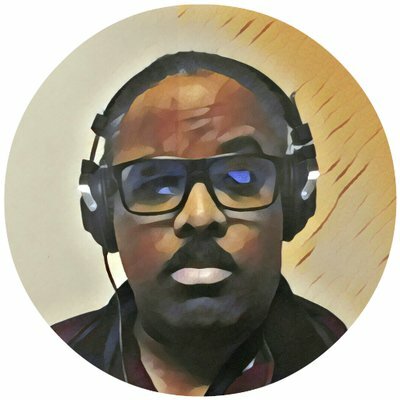 Find out what happened when Kimanzi Constable a VIP contributor at Entrepreneur.com started saying ‘NO’ in his business. I think you’ll be amazed and refreshed! Do you have self-discipline? Can you work hard when nobody is looking? When nobody knows that instead of working you actually spent the day on social media, watching videos, or in the bathtub (lol)? 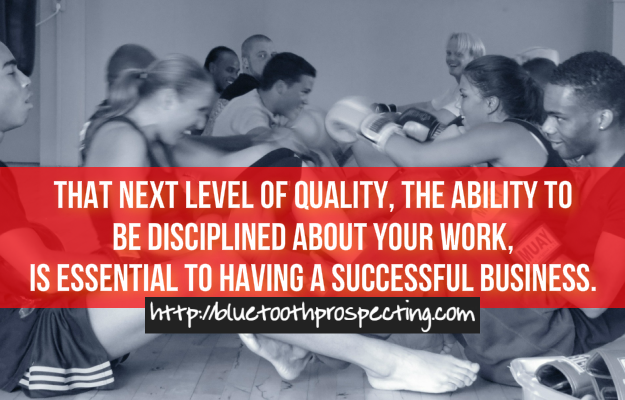 That next level of quality in your business, the ability to be disciplined about your work, is absolutely essential to having a successful business. Not everyone has self-discipline when it comes to work, and that does not always prove to be deadly in business. Some people just need others around for accountability to ensure that they will do the work they are supposed to be doing. But if you work at home, there usually won’t be other people to egg you on, to encourage you to work, or to join in with when it comes to work. You need to find the discipline somewhere within yourself. Check out why Entrepreneurs Need Self-Discipline and Real Goals via Martin Zwilling. Read Self-Discipline for Entrepreneurs: How to Develop and Maintain Self-Discipline as an Entrepreneur on amazon via Martin Meadows. This goes hand in hand with discipline, but it’s a bit different. To make your self discipline work for you, you must first have self motivation. 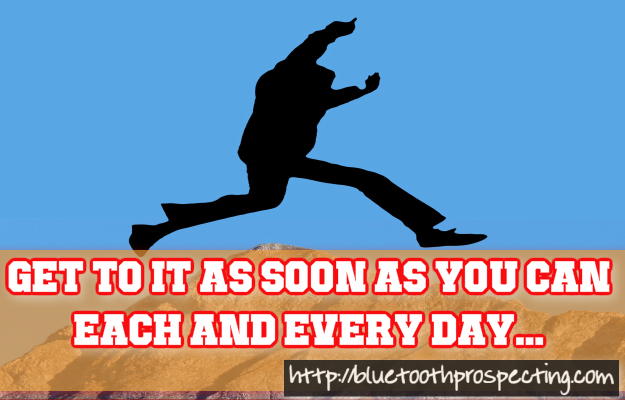 You should want to do your job and be motivated to get to it as soon as you can each and every day. Take a look at how Self-Motivation and Optimism is The Key to Entrepreneurial Success via Jon Warner. Unlike a job outside the house where there might be a supervisor keeping an eye on your efforts, at home it’s just you. If you aren’t self motivated enough to get up in the morning with an eye toward what you need to get done that day – without anyone reminding you of your responsibilities – you might not be well suited to working at home. But if you are self motivated, and are able to keep yourself going even in the face of any obstacles, you might do well working for yourself at home as an entrepreneur. Working at home, especially when you’re an entrepreneur, take a certain level of multi-tasking expertise. You should be able to handle the house, the kids, and the work. 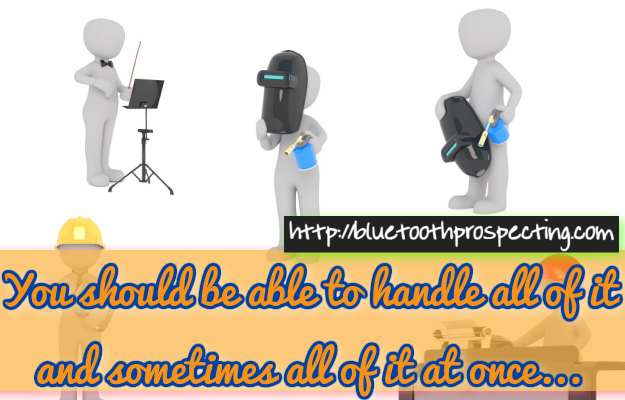 You should be able to handle all of it and sometimes all of it at once. If you get very stressed when things don’t go perfectly, or if you can’t focus on more than one thing at a time, working at home as an entrepreneur might not be for you. With that in mind see 10 Ways Entrepreneurs Can Get Better at Multitasking via The Young Entrepreneur Council. People who are entrepreneurs must have a certain level of “entrepreneurial initiative”. 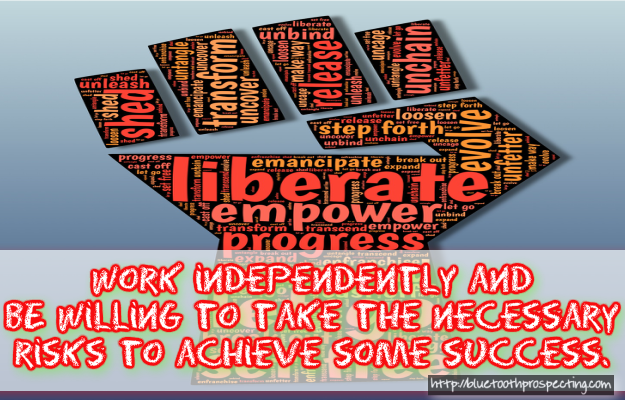 That is, they work independently, and are willing to take the necessary risks to achieve some success. If you want to work at home and be successful, you too should have this independent streak that flows though your viens. So, do you think you have the right personality to be an entrepreneur? If so, go for it! Want to know The 15 Crucial Steps Needed To Achieve Financial Independence? Find out these life hacks via Jeff Rose. So learn 8 Important Reasons Why You Should Be More Independent via Joel Brown. Working at home take a myriad of personality characteristics, but these are by far the most important. Hone the traits you already have and work to develop the others, and work at home success will be yours. I’d appreciate if you Like it on Facebook, Pin it to Pinterest, Tweet it on Twitter, Link it on Linkedin, or Add something to the list in the comments section! Which Marketing Platform Is Best For Your Brick And Mortar Business: Email, Text Messaging, Or Facebook Messenger? How to get keywords for SEO?